At South Normanton Nursery School, we are committed to a Bullying Free Environment by embedding our Five Finger Rights Respecting Rules and by having a shared vision and belief around every child has a right to be safe and to play and learn in line with the United Nation Convention on the Rights of a Child. It is simple, we ensure that through training and support, our staff effectively prevent and stop the emergence of bullying behavior and foster the development of positive social interactions. Young children’s bullying often looks different from bullying among older children. Understanding the variety of ways that young children may become involved in bullying in early childhood settings can help staff prevent and stop bullying. At our school our staff are aware that the emergence of bullying is based on the formation of specific relationships among children who bully, children who are bullied, and children who observe the bullying—the bully, the victim, and the bystander. Staff know to use the strategy of Stop, Coach and Engage. Stop the behaviour, coach the victim to respond and engage the children watching to support and be kind. Our staff know that early childhood settings are where many children first observe or experience early forms of bullying behavior. If educators don’t intervene to stop bullying, children learn that bullying is an acceptable way to behave and this is a non-negotiable here at South Normanton Nursery School - all staff model, observe, analyse and intervene where needed. Our key to success lies in advance preparation to deal effectively with bullying before, during, and after it occurs. understand what bullying is, it's different forms, what it looks like in early childhood, what it can turn into and that it is preventable. talk openly with the children about bullying tied in with stories, role play and other experiences children share. Let them know it is not right and we all need to work together to ensure it does not happen. work together to embed our five finger rights respecting rules that help to prevent bullying - use our children's voices to amend and review our rules. are we all friends together? Being able to label feelings is crucial to a child knowing what they feel like - happy or sad just does not cut it, as children cannot tailor every feeling to this - what about the angry feeling in you tummy (it could be hunger) or the wobbly feeling deep down (it could be worry). 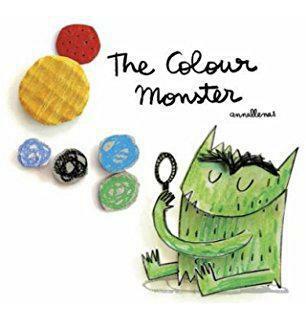 We use the story 'The Colour Monster' as a foundation for talking about feelings - we use feeling labels everyday and we embed a culture of it is ok to feel...... We never stop a children from feeling ......., as we support them to recognise it, label it and talk about what we need to do next. There is always resources from this story available in different parts of the Nursery to use to support children with their feelings and for children to use them independently to support each other or to just experience them. Bullying can have a long-term effect on children and young people's educational, emotional and social development, which sometimes lasts into adult life. Some children may refuse to go to school and/or become ill, while others may become socially isolated and lonely. Schoolwork can suffer. Over a period of time, their self-esteem can be affected and a few children may become depressed or, in extreme cases, even attempt suicide. Bullying is characterised by an imbalance and misuse of power between the perpetrator and the target. Often bullying is hidden as targets do not tell about their experience for fear of escalation and retaliation. It can continue for long periods. Talk to your child about bullying - help them to develop the social skills needed to prevent being a bully, a victim or a bystander. Ask for help if you need it - a member of staff is always available to talk. Our Anti-bullying policy along with many more can be found here.